On February 2, the United Kingdom government published a white paper, titled The United Kingdom’s exit from and new partnership with the European Union, to provide the parliament and the people of the UK with a clear vision of what the country is seeking to achieve in negotiating its exit from, and new partnership with, the European Union (EU). The paper sets out a plan for the strong new partnership the UK wants to build with the EU. 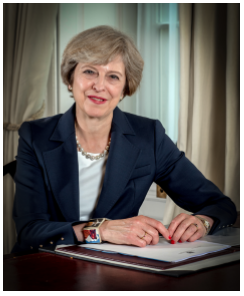 It set outs the basis for 12 priorities announced by Prime Minister Theresa May and the broad strategy that unites them in forging a new strategic partnership between the UK and the EU. The paper said that the UK government will provide business and public with as much certainty as possible throughout the negotiations. To provide legal certainty over its exit from the EU, the government will introduce the Great Repeal Bill to remove the European Communities Act 1972 from the statute book and convert the ‘acquis’ – the body of existing EU law – into domestic law. – The UK will continue to build a national consensus around its negotiating position by listening and talking to as many organizations, companies, and institutions as possible. – Leaving the EU will mean that the UK’s laws will be made in London, Edinburgh, Cardiff and Belfast, and will be based on the specific interests and values of the country. “In chapter 1 we set out how the Great Repeal Bill will ensure that our legislatures and courts will be the final decision makers in our country,” the paper said. – The UK will make sure that the devolved administrations are fully engaged in its preparations to leave the EU. The government will be working with the administrations in Scotland, Wales and Northern Ireland to deliver an outcome that works for the whole of the UK. “In seeking such a deal we will look to secure the specific interests of Scotland, Wales and Northern Ireland, as well as those of all parts of England. A good deal will be one that works for all parts of the UK,” according to the paper. – Maintaining strong and historic ties with Ireland will be an important priority for the UK in the talks ahead. This includes protecting the Common Travel Area (CTA). – The UK will remain an open and tolerant country, and one that recognizes the valuable contribution migrants make to the society and welcomes those with the skills and expertise to make the nation better still. But in future, the UK must ensure it can control the number of people coming to the UK from the EU. – The UK wants to secure the status of EU citizens who are already living in the UK, and that of UK nationals in the other Member States, as early as we can. – As we convert the body of EU law into a domestic legislation, the UK will ensure the continued protection of workers’ rights. This will give certainty and continuity to employees and employers alike, creating stability in which the UK can grow and thrive. – The government will prioritize securing the freest and most frictionless trade possible in goods and services between the UK and the EU. “We will not be seeking membership of the Single Market but will pursue instead a new strategic partnership with the EU, including an ambitious and comprehensive Free Trade Agreement and a new customs agreement,” according to the paper. – By leaving the EU, the UK will have the opportunity to strike free trade agreements with countries around the world. – From space exploration to clean energy, from medical technologies to agri-tech, the UK will remain at the forefront of collective endeavors to better understand, and make better, the world in which we live. – The UK will continue to work with the EU to preserve the UK and European security and to fight terrorism and uphold justice across Europe. On June 23, 2016, the people of the UK made voted to leave the EU. The government said that it will honor people’s wishes, and will not make any attempt to remain in the EU by the back door. The prime minister will trigger Article 50 of the Treaty on the EU by the end of March this year to begin the process of exit. “Whatever the outcome of our negotiations, we will seek a more open, outward-looking, confident and fairer UK, which works for all,” wrote David Davis, secretary of state for exiting the EU.